NEXSYS – a completely revolutionary concept. 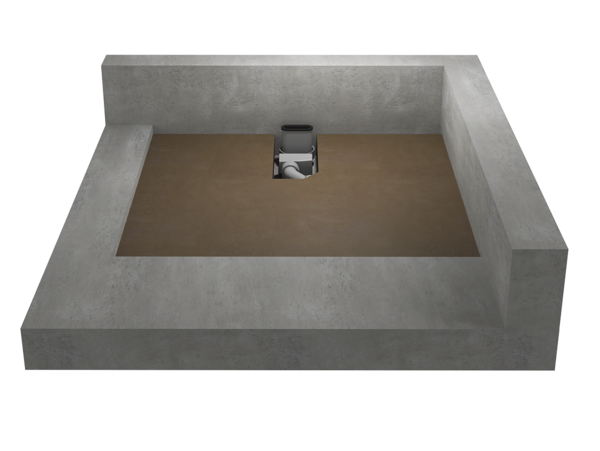 There is no quicker and easier way to fit a floor-level shower surface with waste channel. Because NEXSYS is not simply a shower surface but rather a complete, installation-ready system. The components are already connected and can be installed immediately – including integrated waste channel and sturdy sloping support element. Therefore, to describe NEXSYS as a small revolution would be an understatement. 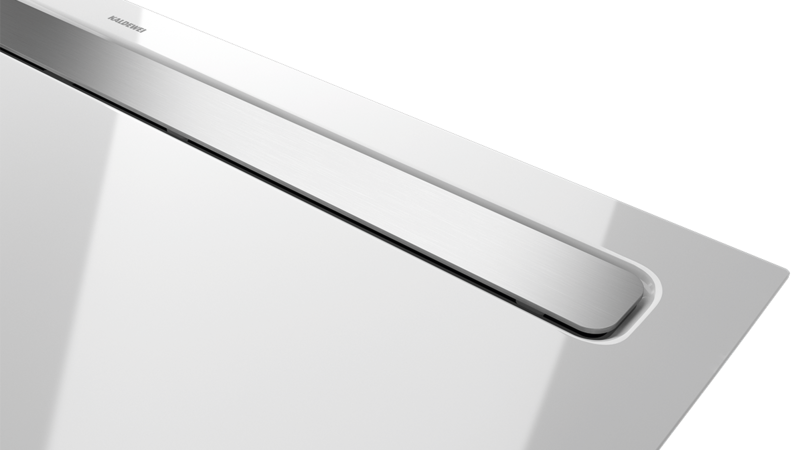 Channel, sloping support element, sealing system, shower surface. 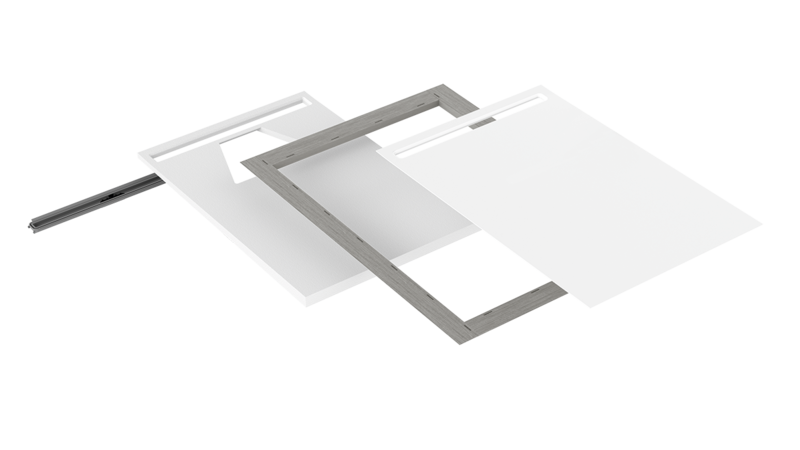 The 4-in-1 system eliminates multiple installation steps. For easy installation of floor-level shower surfaces. 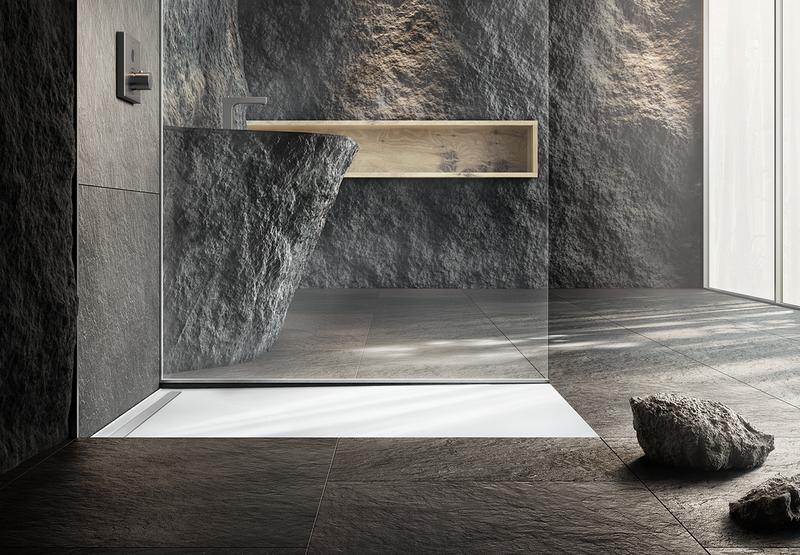 NEXSYS offers the optimal solution for floor-level shower surfaces in floors with limited installation depth. 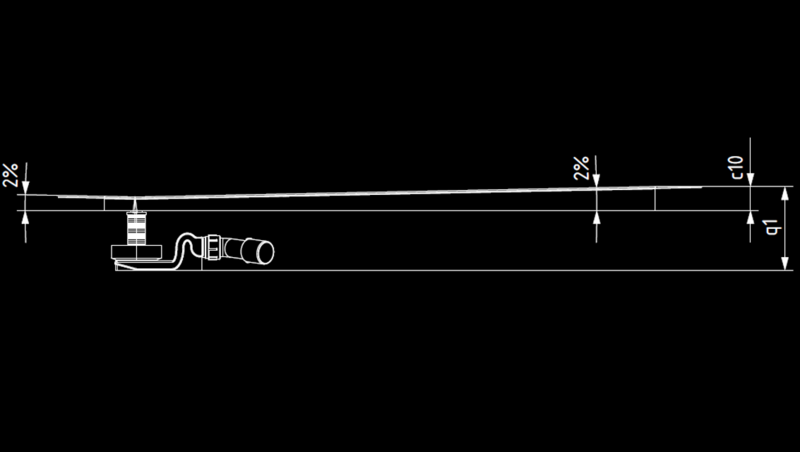 Waste channels are available in a choice of two designs: ultra at (fitting height of 86 - 100 mm depending on the NEXSYS size) or with water seal height to DIN (106-190 mm depending on the NEXSYS size). The cover not only fits perfectly with the minimalist over-all look, but withstands even heavy use. It is designed to meet the standards of load class K3 of DIN 1253-1. The shower surface is made of superior KALDEWEI steel enamel, the material that is known and appreciated for its excellent qualities, such as strength, toughness, robustness, hygiene and exceptional cleaning properties. The generous standing area with no inner contour creates a minimalist overall look, with outer edges defined by very small radii for easy tiling right up to the edge. 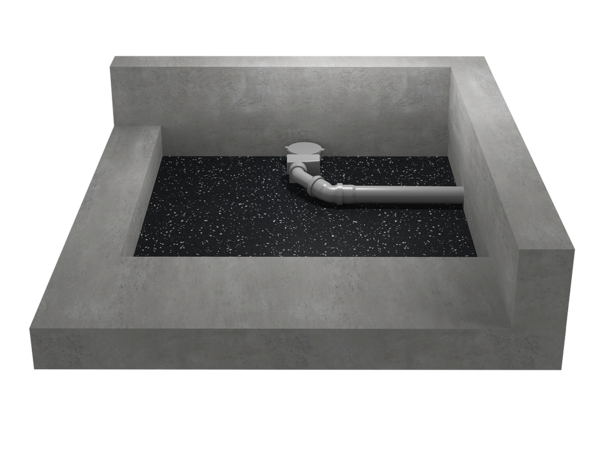 The sturdy support element with its integrated slope of 2 % and a counter slope between channel and wall ensures optimal and safe water run-off without the need to make an elaborate sloping screed. The cutouts in the support element provide openings for the waste channel, thereby reducing the overall height of the system. For optimal sound insulation, the system solution includes sound insulation tape for application to the sloping support element. 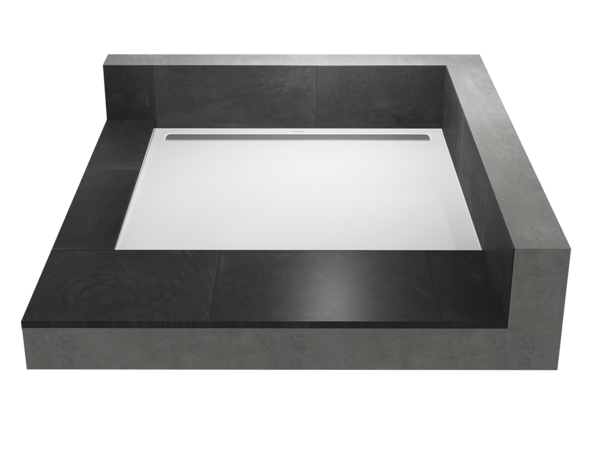 The ultra thin and flexible material integrates easily and securely into the bathroom’s composite sealing, complying with DIN 18534. 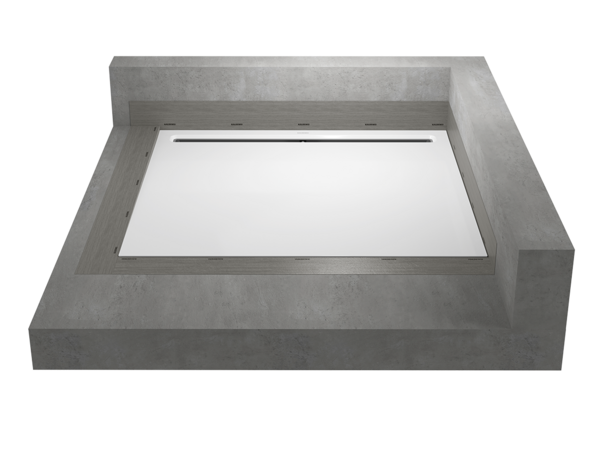 Position the waste outlet in the level screed cutout (nominal size of the shower surface + 15 mm) and connect in the same way as conventional shower surfaces. For height adjustment, create a screed base or – without need for drying – use a rigid foam substructure. Refer to the installation instructions or use our interactive online planning aid to determine the correct height. Position the NEXSYS system and connect the shower channel with the waste outlet. Next, integrate the pre-assembled sealing strips into the composite sealing and finish the tiling. Finally, fit the design cover – done.